2. Families with kids like tend to look for a home in spring because they want to move in early summer, before they go on vacation and before the new school year starts. 3. Spring Cleaning! Spring is just naturally a time when people shed the clothes that don't fit anymore. The same goes for your home - why live in a house that is too small or too big for you? 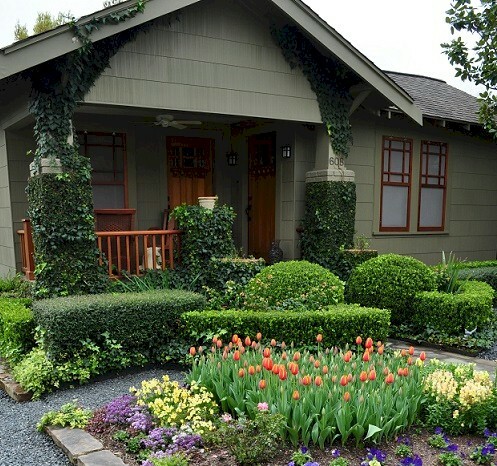 Spring is the time to sell the house that no longer fits and get into one that is perfect for your current lifestyle. 4. Spring is the real estate buying season. During the holidays and in the beginning of the year, there are not many homes available for sale. Buyers have been waiting for new inventory to hit the market. Your property may be just the thing that buyers have been waiting for and they will jump at the chance to make it their own. 5. Spring is tax time! Renters are facing their CPAs and tax preparers who and hearing, "Why aren't you buying a house?!" Renters who are paying a lot in income tax are reminded that they are missing out on one of the biggest tax deductions they are allowed by continuing to pay off their landlord’s mortgage instead of their own. These higher income buyers will be looking for homes to purchase in a tight inventory market, and this will drive up the price of your property. So there you have it - 5 powerful reasons that SPRING is indeed The Best Time for sellers to list and sell their home for the maximum market price. Are you ready to find out what I can list and sell your Los Angeles area property for? Call us at 213-215-4758 or fill out this form for a free evaluation of the current market value of your property.